Following years of tech trials and pilot deployments, cable operators are starting to deploy distributed access architecture (DAA) techniques for moving legacy headend functions to the access network and expanding the capacity of that network for new, more advanced services. In this session, cable technologists will discuss their latest Remote PHY, Remote MAC/PHY and related moves; the new services they plan to deliver with DAA; and the challenges they must overcome to make DAA a reality. Fernando Villarruel is the Chief MSO Architect for Ciena, where he has responsibility for the long-term vision of cable access networking, which includes all Layer 1-3 activities. Fernando has delivered impactful solutions to the MSO space for more than 17 years, first making fundamental contributions to linear access networks, and now leading the transition to the Ethernet/IP networks needed to build out Distributed Access Architectures. 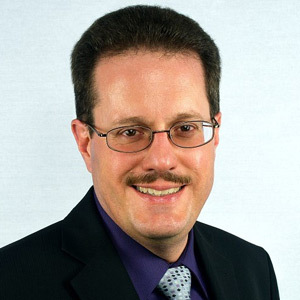 Jon Schnoor is a Lead Architect for CableLabs’ Wired Technologies team, focused on the Distributed CCAP Architecture (DCA) Program, including Remote PHY (R-PHY) and Flexible MAC Architecture (FMA) technologies. He leads the R-PHY and FMA projects developing specifications, solutions and championing the cable industry toward Distributed Access Architectures of the future. Jon works closely with cable operators and technology partners to develop and deliver new innovative concepts, designs and strategic initiatives for the cable industry. Prior to joining CableLabs, Jon was Director of Advanced Solutions Engineering for Ubee Interactive’s Advanced Wireless Gateway Organization. In his role he provided high-level engineering support for customers, direction for the Advanced Solutions Engineering team, facilitated new business development initiatives and supported product management in defining requirements for new cable technologies with customers. With more than 25 years of experience in the cable and telecommunications industry, Jon spent a majority of his career in the operator space with various engineering groups. At Comcast, he helped design, test and deploy their provisioning and CPE support systems. Jon led voice deployments across markets for Charter Communications, including field network readiness and provisioning and was the technical lead for the Charter Home Networking product line. [For EU Residents] I agree to allow the information collected to be shared with the sponsors of this event. In doing so, I may be contacted by SCTE/ISBE, CableLabs, Ciena and/or Viavi via the information submitted. Light Reading agrees not to share this information with any 3rd parties not involved in this specific event unless I have denoted otherwise.